While there is no magic pill or supplement that exists, the right combination of supplements that support the body’s inherent ability to heal are the perfect adjunct to this type of wellness therapy. Our collection of Skin Products, Harmonized Waters, Elevate and Restore utilize technologies that tap into and support the natural function and design of body homeostasis. 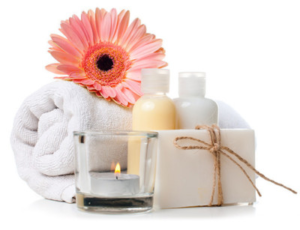 We give our clients the ultimate gift of health, longevity and wellness. This is not a select privilege for a few, but an undeniable right for all. We not only have the power to make an impact on our client’s skin, but their lives as well. What may seem baffling at times is that every mole, spot, bump, and/or scale is in a very specific spot on your body based on numerous conditions. These include your mental state (stress, anger, guilt, hatred all negatively impact your skin and body health), environmental influences (bad lighting, excessive sun exposure, pollution, poor water quality, damaging skin products), and diet which is the biggest contributor next to stress. No one part of your body acts independently with another. That is why many systemic diseases have associated skin abnormalities. The reason this concept is so important is that it is not a generally accepted view from our medical community and therefore the approach to skin conditions is flawed. Rather than addressing the causes of these problems, we are usually addressing symptoms like redness, flaking or swelling. This philosophy has permeated our society; “acne…take antibiotics”, “redness…try a steroid…or maybe a laser treatment”. The assumption is that the skin is acting out of control, that it has disassociated itself from the rest of the body and only we know how to control it. WRONG! Most skin conditions are side effects of a bigger problem elsewhere in the body. THE FUTURE OF BEAUTY STARTS HERE. First of all, there’s no down time! Because this treatment is non-invasive, you don’t leave with a red or inflamed face so you can go about your daily business right afterwards without concern! Each cartridge is individually wrapped & sterilized and discarded after use. As a result, there is zero risk of cross contamination! Most importantly, Rezenerate is a pain-free cosmetic alternative to harsh treatments/procedures on the market. Start treating yourself the way you deserve to be treated. Osmosis +SCULPT is quite different than any other “fat loss” treatment. 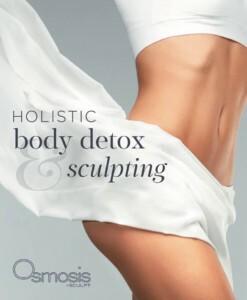 Other technology doesn’t conform to various shapes of the body like Osmosis +Sculpt does. Osmosis +Sculpt advanced wave technology controls the direction of the current resulting in inch loss as well as strengthening and toning muscles. +Sculpt does not kill, freeze, or use heat to remove fat cells. No chemicals are used helping your body to maintain the loss in a healthy way. “SCULPT claims to be able to lose inches off of your waistline in MINUTES! Okay, so you’ve heard the phrase “too good to be true”. Right? Truth here is this thing actually works! !